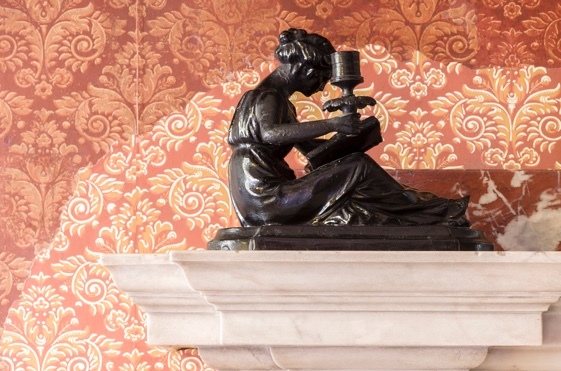 Adelphi Paper Hangings offers wallpaper that are meticulously reproduced from original documents and hand-printed by skilled artisans using the same methods and materials employed in the eighteenth and nineteenth centuries. Image: Original and Adelphi reproduction of Soane Diaper pattern at Sir John Soane's Museum. Founded in 1999, Adelphi Paper Hangings is a small, artisanal producer of historically accurate block printed wallpapers for museums and historic institutions, as well as for period designers and those involved in contemporary design projects.